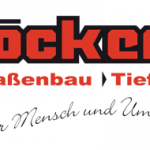 ROHRCO Rohranlagenbau GmbH is a manufacturer company from Germany which is active in the fields plumbing contractor, offshore contractor, stones, building company, . Buyers from numerous different lands like the presented solutions and goods. Profit from the huge collection. At this page you will find all the contact detail which include phone number or webpage. Jabitherm Rohrsysteme AG is a manufacturer organization from Germany that is active in the points sports facilities, plumbing contractor, fences and gates, . Customers from numerous different lands appreciate the supplied solutions and products. Profit from the vast collection. At this site you will locate all the contact details such as telephone number or website.